Since 1999, Get•A•Pro has provided and specialized in beautiful, low-maintenance home improvement products designed to last a lifetime! Matzke, an ASE Master Certified Medium and Heavy Truck Technician. our brand new, state-of-the-art facility, which was completed in 2017. 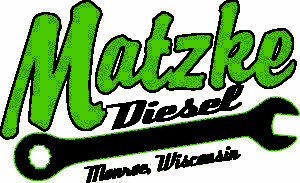 Today, Matzke Diesel employees five full-time staffers and is looking to grow in the future. In the last six months, a new enterprise has been started, a chrome and lighting retail shop, Chrome Six Nine. We are a full-service Home Inspection company offering: Buyer Home Inspections, Pre-Listing Seller Inspections, Radon Testing, and Residential Thermal Imaging. We strive to be the go-to inspection company in Southern Wisconsin by providing excellent value with our services. We offer flexible scheduling, reports delivered within 24 hours, checks on appliance recalls, and limited inspection warranties with all residential inspections for owner occupants.